Is it possible to implement trackbacks from SE sites to the arXiv.org? 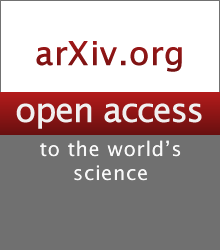 arXiv.org is nowadays the leading archive for scientific preprints. It is used by a majority of scientists in physics, mathematics, and other sciences. See e.g. this Stat.SE post. Scientists typically upload their preprints to the arXiv.org before submitting to journals in order to get their works exposed, and to receive fast feed-back. Several SE science sites, such as, e.g., Math.SE, Phys.SE, and a handful of other SE sister sites, would benefit enormously (not least in terms of PR value) from trackbacks to the arXiv. In this way SE would become visible to many scientists, experts, academics and scholars, with knowledge to share, who potentially could become new high-value users for the SE science sites. Mathoverflow.SE already has trackbacks implemented (mainly thanks to Scott Morrison). Can this be widen to other SE sites as well, in particular SE science sites? Other related Meta.SE posts: 1; 2. Can the SE team comment on the status of the roll-out to other SE sites? If this is status-declined, can we have an official statement and some thoughts as to the reason? First off, the good (or less bad) news: this isn't declined. As Tim said a while back, we do like this idea. If this is status-six-to-eight-months, wasn't the sixteen-month timeline a good time for this? The problem here really has nothing to do with the specific idea at all. It's the usual story: too many good ideas, not enough time to implement them all. And even if there weren't other feature requests and bugs to compete with, larger projects have been taking up a lot of the company's collective time for a while now, and probably will continue to do so for a while longer. There are already working implementations of this. This helps, from a proof of concept perspective, but—with all due respect to Scott's work—it's not just something we can copy-paste. This is a request for official SE implementation of a feature, which means a fair amount of our dev time needs to go into evaluation, design, construction, review, the whole deal. Not to speak too much for the dev team, but I have to think they would want to build hooks into the actual system, for example, rather than using an independent scraping script. So, for the moment, the best I can offer you is continued limbo. We're not declining it because it's not a bad idea. It's not planned because there's a lot going on (as always) so we don't know when we can find the bandwidth. It's just... a good idea that the time isn't quite right for. This really should be implemented: it is good for the sites, it is good netizenship, people want this, and an implementation already exists. As far as I can tell - from any publicly available information - all that's needed is (in essence) for SE to flip a switch. I'm going to look into this, I can't see how it would be a bad idea, and it's being a good netizen for going the extra mile to indicate that a paper was cited. The PR value is nice, but doing the 'right thing' is a fine motivation alone. This isn't really a problem. The arXiv does contain a nonzero fraction of 'crank' papers but generally speaking this is very low. The arXiv is not peer-reviewed but it is not anyone-can-post, and there are various measures to prevent 'crackpot' papers from getting in. Overall, the arXiv is a formidable source of knowledge and it is the standard go-to place for a large number of disciplines. If the paper is bad, and the post that discusses it says that it's bad, then that's precisely what the trackback system is meant to provide: a way to link from the arXiv page to the wider peer review going on in other places of the internet. If a paper has serious flaws, then by publishing its authors are assuming the risk that people will call out the paper's flaws in other public venues. That's how it goes, and this sort of stuff needs to be defended for the good of science. On the other hand, if a post is wrongly tearing on a good paper, then again it needs to be the target of some righteous community-moderation fire. A trackback that sends you to a rant about how the paper is wrong... and the rant is seriously downvoted and in pale gray? Not a particularly big problem. And, in any case, people can already send a trackback from a ranty blog with negative opinions of a good paper - there's always a 'reader beware' stamp on all trackbacks to begin with. Stack Exchange communities like the arXiv. Like, a lot. Like, wildly-upvoting-the-arXiv-community-ads a lot. See, for instance, the 2016 community ads for Physics, Academia, Mathematics and Computer Science. See those nice, fat scores? See how they're at or near the very top of the list? Try some other years, too, and see how those went. on both posts and comments. That's a lot of trackbacks that are not there - a bunch of authors with fewer ways to know their papers are being discussed. An implementation already exists, and it is currently live at MathOverflow - for some details, see here. This might need a little bit of up-scaling to deal with a bigger volume of posts, but again, it's doing fine at MO. One potential concern is what happens with questions and answers that send a trackback and are then deleted. This is in general a concern with the trackback mechanism - it is always susceptible to link rot to begin with - but at the expense of some extra coding SE can do a lot to prevent this, either by contacting arXiv administrators with a way to let them know that a trackback target has been deleted, or by holding off on sending the trackback if the post gets downvoted or otherwise gets signals that it might get deleted. This feature request has been around for three years and the implementation already exists, and yet the only Stack Exchange response has been a vague "yeah, that's definitely a good idea" and no motion afterwards. So, if this is not going to get implemented, would the team care to comment on why it's actually very very very hard, or actually a very very very bad idea? I agree with this idea wholeheartedly. I want to add two thoughts. I think only answers should trackback. Comments are not there to stay, and questions are unlikely to contain something a visitor of arXiv would be interested to read about, namely a citable use of the work. Answers, on the other hand, are more likely to use the reference in a productive way, hence are more in the spirit of citations. What if a reference to arXiv is edited away, or the whole post is deleted? Can we take back a trackback? Does arXiv automatically check for stale links? Not the answer you're looking for? Browse other questions tagged feature-request hyperlinks marketing publicity . Free meta from the tyranny of nofollow!